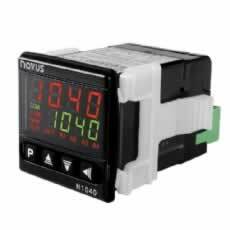 Controls & Instruments - Comstat, Inc.
Comstat is an authorized factory distributer of Novus Automation’s full line of instruments for control, data acquisition and supervisory systems. 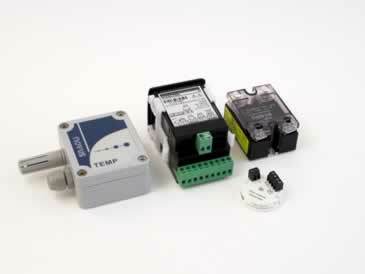 Integrating with thermal fuses, mechanical and electric thermostat (bimetallic & snap) products, and many other thermal control components, we can ensure an ideal solution. Novus, located in Porta Alegre, Brazil, is a world leading manufacturer of quality, cost effective control products. 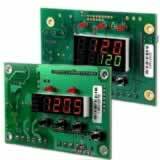 The N120 is an extraordinarily versatile, self adaptive board level process controller for applications that require more features than a simple thermostat (bimetallic or electronic) can provide. It has all the main features needed for the vast majority of industrial processes in a board level package, ready to be integrated into OEM control systems. The microprocessor based N1040 was designed for low cost applications which require a high degree of accuracy. It features a short depth of only 70 mm and a removable wiring connection block to make installation easy. The N1040 controller accepts Pt100 RTDs and thermocouples (types J, K and T), provides two outputs for control and alarm, 2 Relays + pulse and automatic tuning of the PID parameters. Click here for a complete listing of all available Controllers and other Novus Automation products.